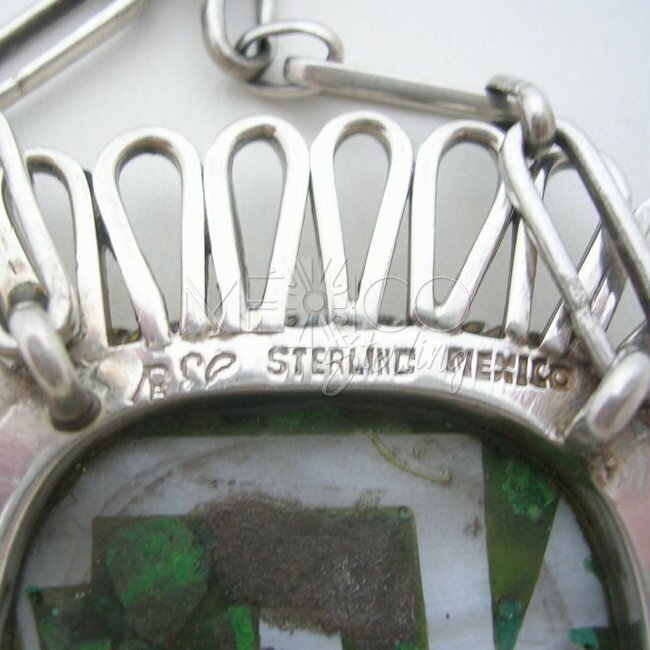 Taxco Vintage Silver Necklace with Mixed Inlays [V71] - $90.00 : Mexico Sterling Silver Jewelry, Proundly from Mexico to the world. Dimensions: Width : 2 1/2" centerpiece. 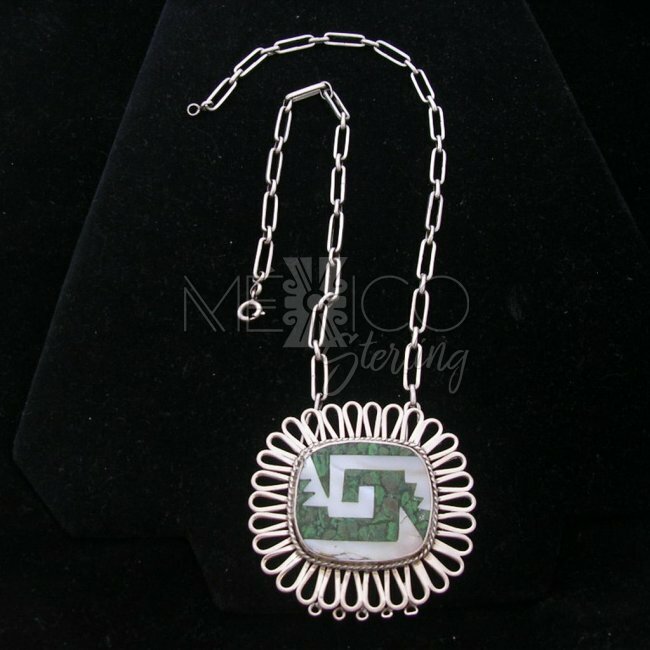 Length : 20"
This unique Taxco sterling silver necklace features an interesting centerpiece with a pre-Columbian motif that is sure to catch the attention of anyone who sees it. 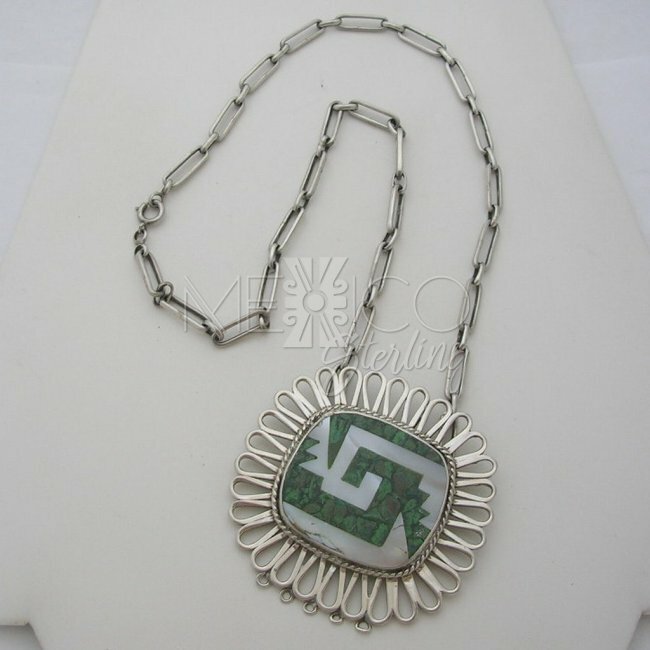 The pendant is decorated with Malachite and mother of pearl inlays, creating a truly beautiful centerpiece. All eyes will be on the center where the "Old Taxco" elements burst to life. This design has an elegant yet simple composition. 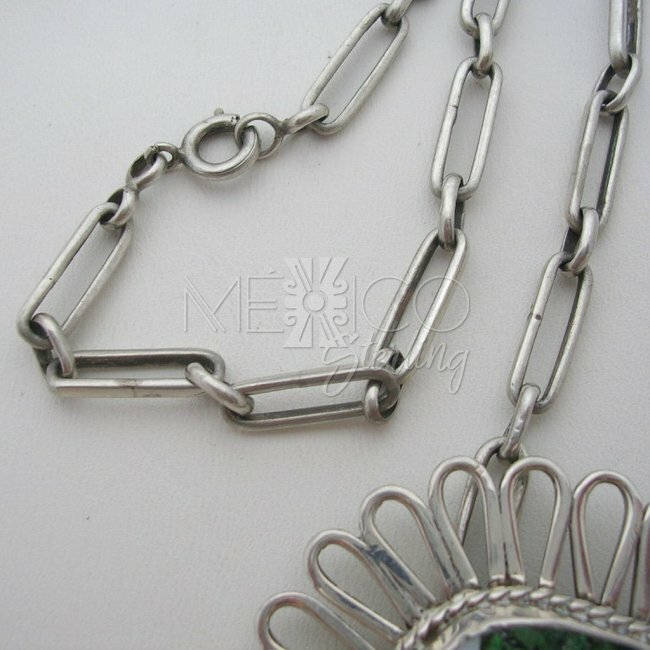 This vintage necklace is completely handmade in the Old Taxco tradition, and displays beauty and excellent workmanship. The necklace is substantial in weight, making it a sturdy piece that will withstand the passage of time. The artist's initials are printed on the back, although they are not very legible. 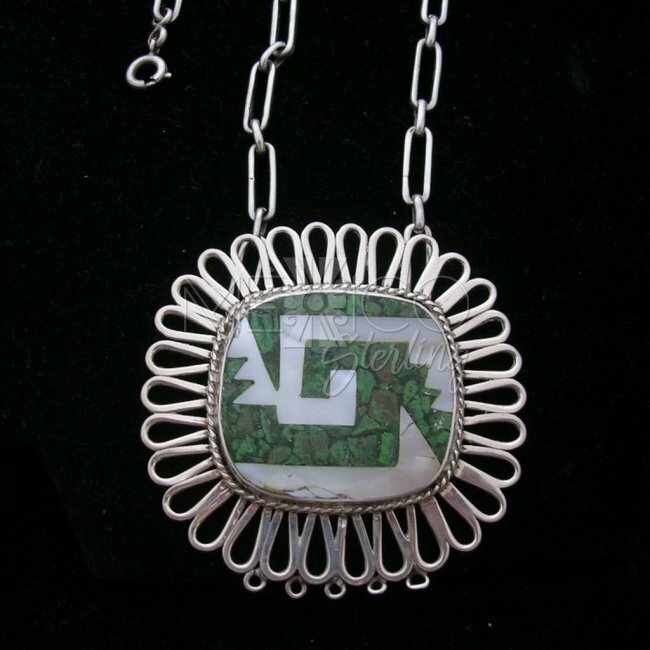 This necklace was crafted in the 1970s and is in mint condition.